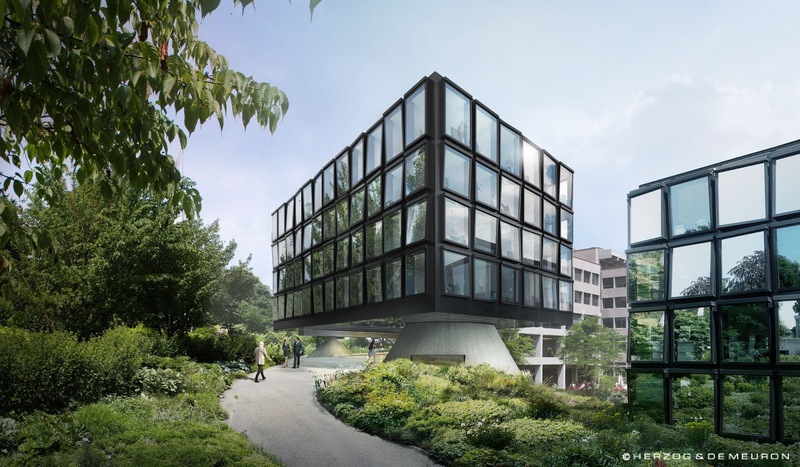 Herzog & de Meuron will design the new west wing of the Helvetia Head Office in St. Gallen. The head office is located at the top of the Girtannersberg, rising above the town of St. Gallen in the vicinity of other large building complexes. This fourth and final extension joins the previous three new buildings (completed 2002-2004), varying in form, size and section, which have been docked to the edges of the existing cruciform complex. The location and orientation of the four additions create four courtyards, integrating nature into the office routine. This latest extension creates a prominent entrance with a café, meeting rooms and offices. The identity of the entire Helvetia complex is shaped by the uniform facade treatment of all four additions.